The investigation concerning the Gezi protests of 2013 has been concluded, and 16 persons, including Osman Kavala and Yiğit Aksakoğlu, who have both been detained pending trial, were indicted. It has been announced that the indictment was accepted on March 4, 2019 by Istanbul 30th High Criminal Court and the first hearing will be held on June 24-25, 2019. The deprivation of liberty suffered by Osman Kavala and Yiğit Aksakoğlu, who have arbitrarily been detained in Silivri Prison, has become a punishment that is at stark odds with international human rights law and standards. While Osman Kavala has been held in prison for over 16 months, it has been for almost 4 months since the imprisonment of Yiğit Aksakoğlu. The admission of the indictment demonstrates that the Court considers the collected evidence as concrete and sufficient to start the prosecution. This further exposes the arbitrariness of their detainment which is already manifestly ill-founded, as it is out of the question for the evidence regarding Gezi events, which began and ended in 2013, to be destroyed or altered in 2019. There is no rational explanation that requires the publicly recognized human rights defenders to be kept in jail pending trial. Kavala and Aksakoğlu must be immediately released without resorting to stereotypical and abstract justifications, such as “nature of the crime” or “circumstances of evidence”, as it was done before to the detainees of Büyükada Case as well as Şebnem Korur Fincancı and Erol Önderoğlu, who had detained for participating in the Editor-in-Chief on Watch campaign, who were all released after the indictments against them were filed. The severe oppression of civil society should come to an end and a legal system in compliance with the human rights treaties to which Turkey is also a party should be reestablished. Osman Kavala had been arrested on 18 October2017 at the Istanbul Atatürk Airport on his way back from Gaziantep, where he had attended a civil society event, and had subsequently been detained on 1 November 2017 and put in Silivri Prison. Leading up to his arrest and detention, a systematic defamation and criminalization campaign was underway in the media against him and the other members of civil society and human rights organizations. The legal representatives of Kavala lodged applications to both the Constitutional Court and the European Court of Human Rights (ECtHR) on grounds of unlawful and unjustified detention. The ECtHR had granted priority to the case of Kavala, and requested from the Government of Turkey to submit their observations by January 10, 2019 on Kavala’s unlawful detention as well as deprivation of his liberty, which becomes an arbitrary form of punishment in itself. Ministry of Justice had requested for an extension of six weeks, and it was announced on the last day of this time period that the indictment was filed. Approximately two weeks ago, it was released to the press, before the defendants and their legal representatives were officially notified. 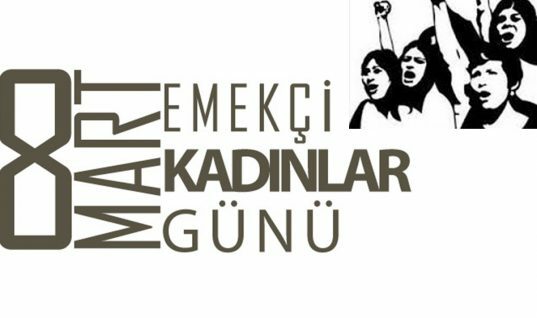 On 16 November 2018, an arrest warrant was issued against 20 persons in connection with the investigation of Osman Kavala and Gezi protests. Except for six, who were abroad at the time, they were all arrested after their homes were raided by police at six o’clock in the morning. On 17 November 2018, they were released after their statements were taken, however, only Bernard van Leer Foundation’s Turkey Representative Yiğit Aksakoğlu was detained. Kadına Yönelik Şiddet ve Ayrımcılık Engellenmelidir! Anadil En Temel Haktır, Yasaklanamaz, Sınırlandırılamaz!